Home / Blog / Beer and Sausages with Forked River Brewing! Tonight (March 23, 2017), right here in London Ontario, our good friends at Forked River Brewing are holding a Beer and Sausage tasting for local aficionados of food and drink. 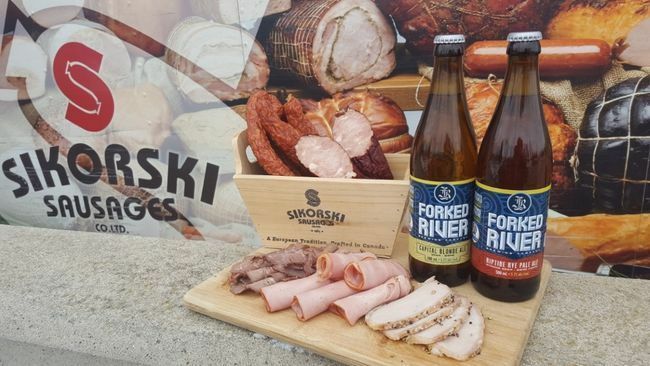 We at Sikorski were honoured to provide some samples of our finest products to be paired with five of their best ales, with all ticket proceeds going towards the London Food Bank. We hope that everyone who was able to get a ticket enjoys themselves responsibly and takes the time to sample some truly inspired pairings. If you would like to read more about some of the ales and meats that will be available, check out this article from the London Free Press for details.